We love a challenge. When we were asked to create a recipe for A Quiet Place, we were so excited. John Krasinski’s film is definitely a unique take on the horror genre. 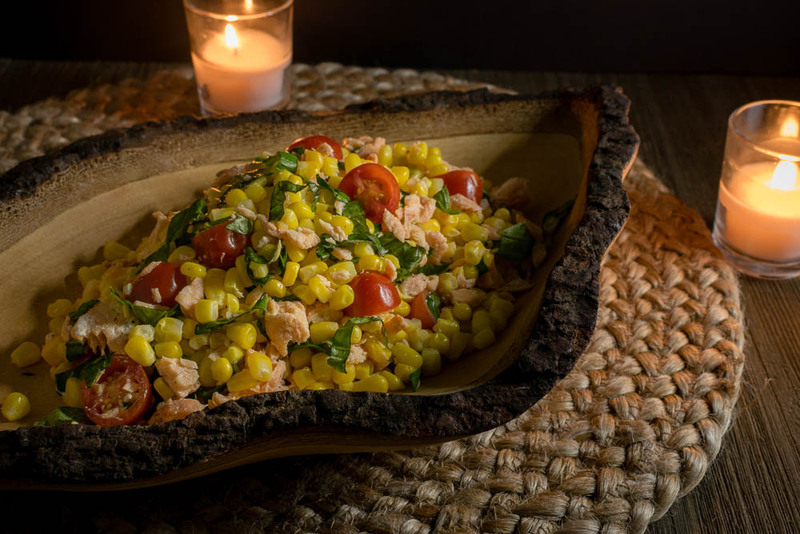 Inspired by the film, we’ve created a delicious and easy dish, Corn and Salmon Salad. We are also giving away 5 screening passes to an advanced screening of the movie. 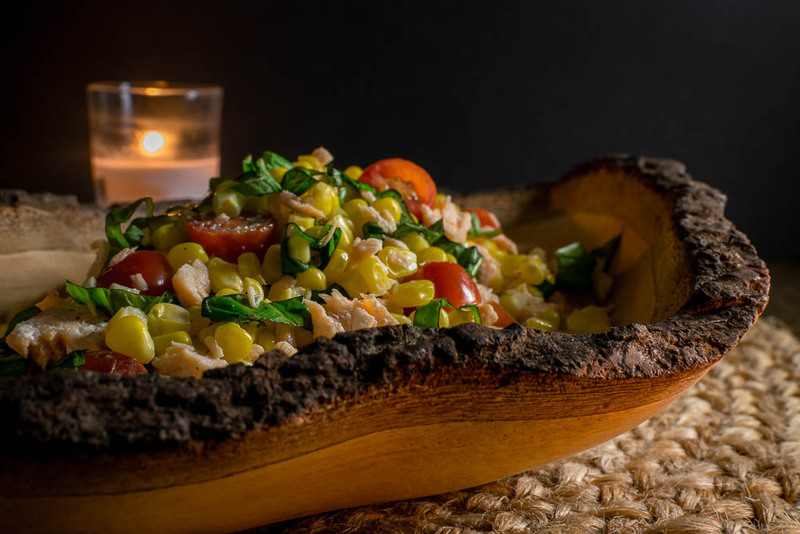 This Corn and Salmon Salad was perhaps one of our toughest challenges. We really wanted to stay true to the themes of the movie. In doing so, we had to create something that the family in the movie would have eaten. Not only did this recipe have to be quietly eaten, but we wanted to use ingredients that are in the region where the movie takes place. The family’s farm has a ton of corn and is located in upstate New York. This meant that salmon and corn were the perfect choice. Now, with our Corn and Salmon Salad you have your very own quiet meal! But before you get eating, we are giving away 5 pairs of screening tickets for a sneak preview of A Quiet Place! The screening will be held at Harkins Scottsdale 101 on Tuesday, April 3rd. The screening starts at 7 pm and the winners should arrive at 6:15 in order to guarantee their seating. Winners will be selected on Monday, April 2nd. Good luck! Oh goodness, I shouldn’t be visiting this blog when its past noon and I still haven’t gotten lunch!! !